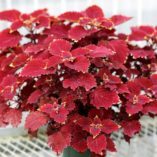 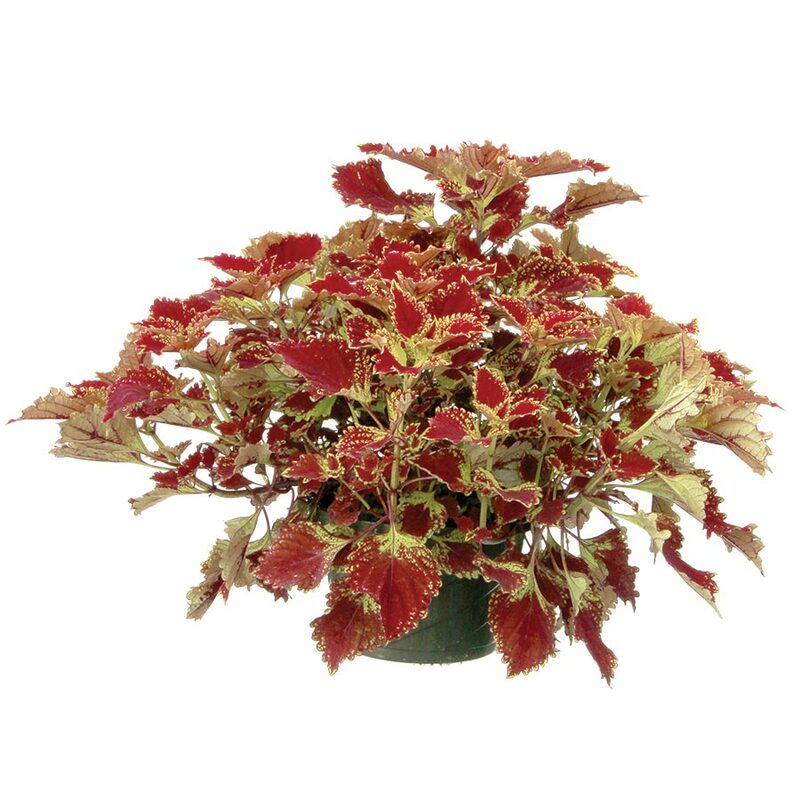 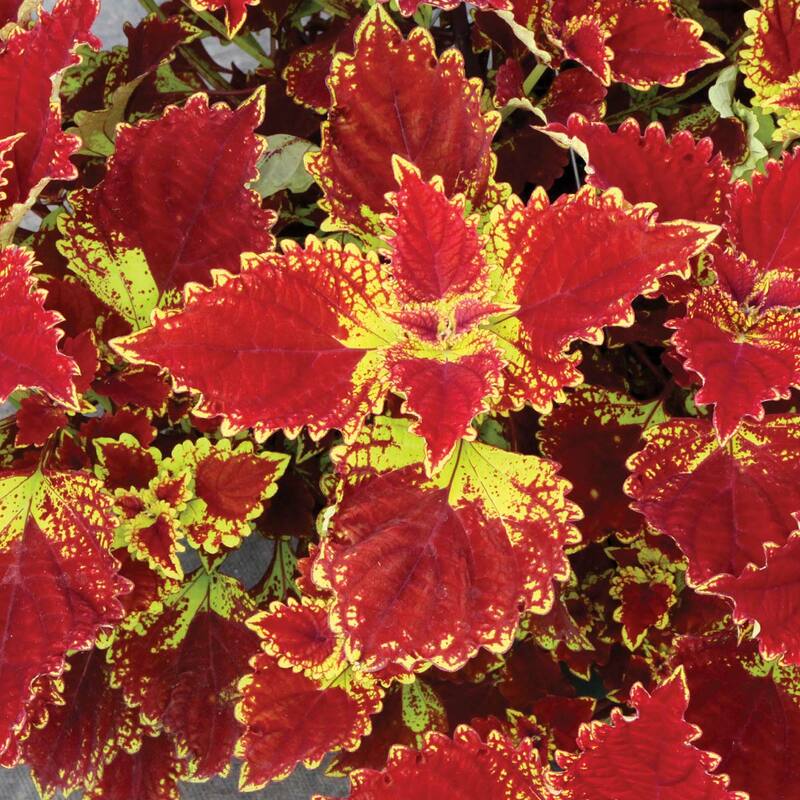 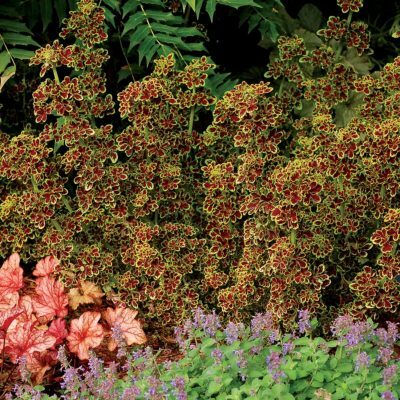 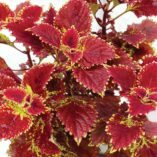 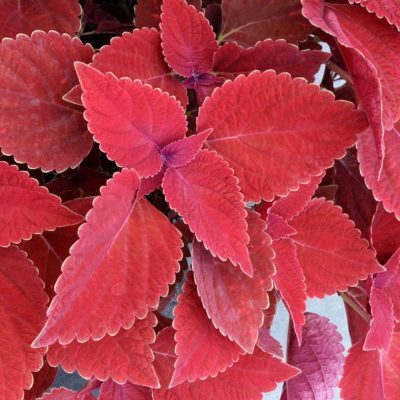 Coleus COLOR CLOUDS™ ‘Be Mine’ | TERRA NOVA® Nurseries, Inc.
Large, luxurious foliage and broad mounding habit. 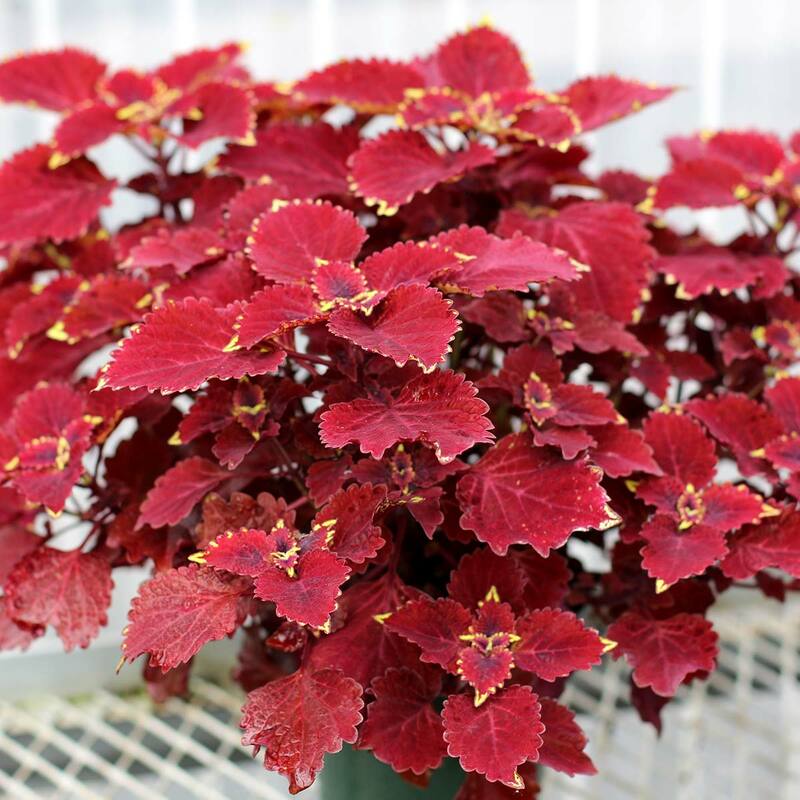 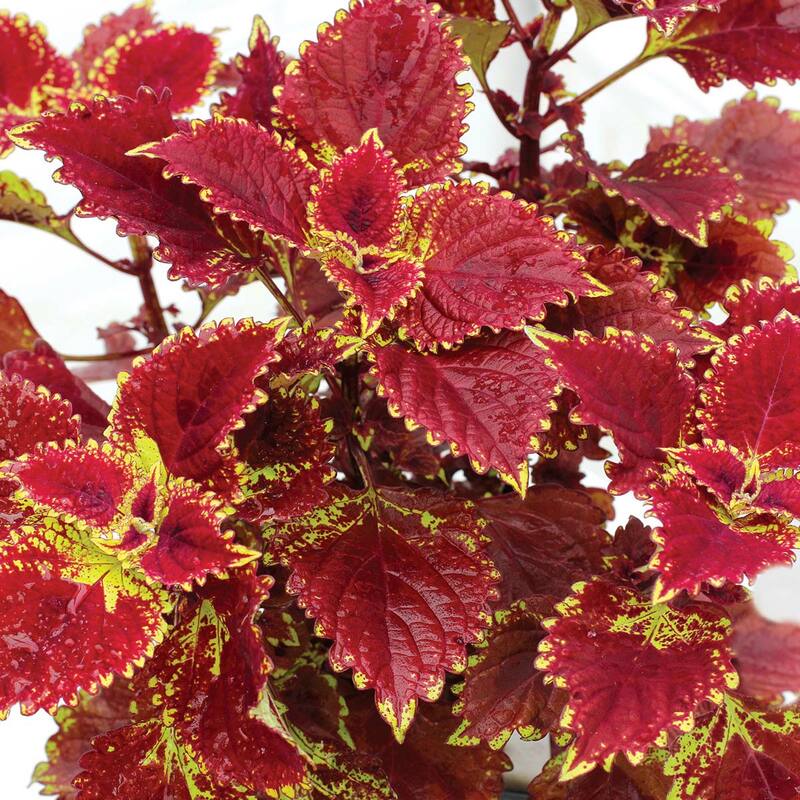 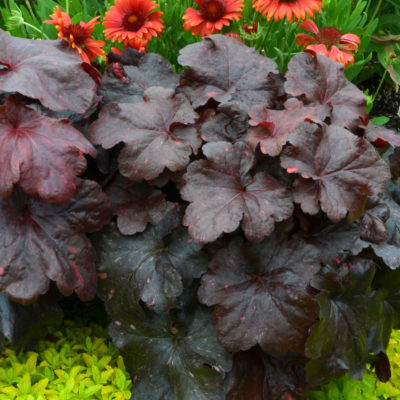 Deep red leaves with green-gold edges on foliage which gracefully drapes over the pots. Great for hanging baskets, groundcovers, and large mixed containers. 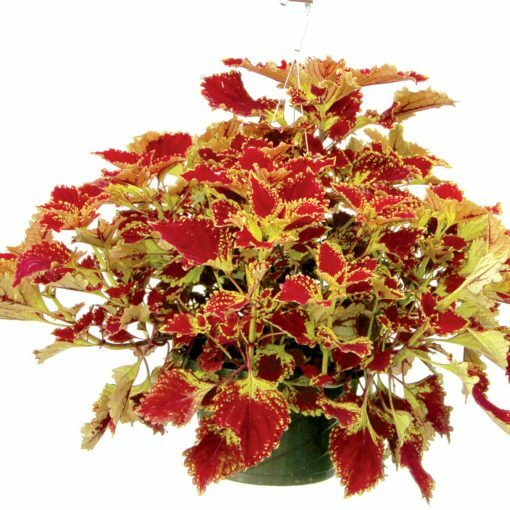 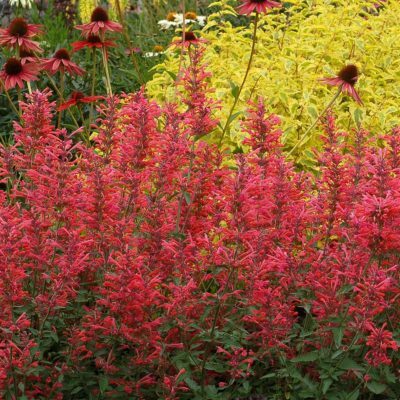 10" / 30" / –"
The COLOR CLOUDS™ are self-branching, trailing, and slow to flower with broad leaves. 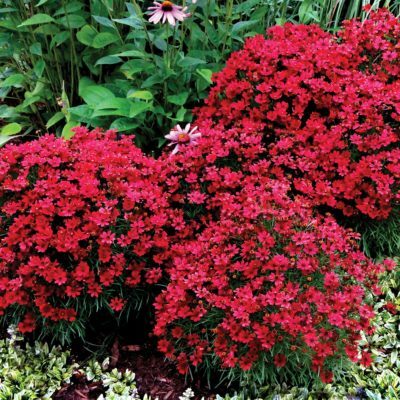 Compared to 'Trailing Red', 'Be Mine' has better branching, habit, and a much better red color.